You might be away for a business trip or personal event but still want to keep your colleagues and friends in your Facebook social networking site updated on your status from time to time. Instead of looking for a computer to do the updating personally, Facebook enthusiasts can actually reduce the hassle by using a free web service, Sendible, to pre-schedule their status update and the service will do the update automatically when the date is due. With Sendible, Facebook users, for instance, can do the status scheduling in advance or on a recurring basis so that their friends in Facebook can keep track of their status. For instance, they can schedule their status according to their trip itinerary, e.g. 1-3 January in Hong Kong, 4-6 in England, etc. Signing up with Sendible for Facebook status update is free. Users who are interested in the service can register themselves via the link here. Once users have registered and logged in, users need to go to Add/Edit Services tab, Status Update, and select Facebook Status to add Facebook status settings in Sendible. Key in the Facebook login email address and password to do the connection. 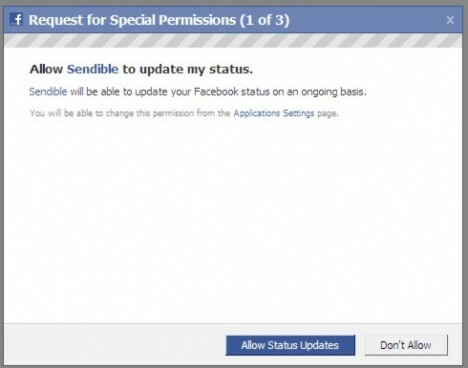 Follow step by step wizard and authorize Sendible to update users’ status in Facebook. 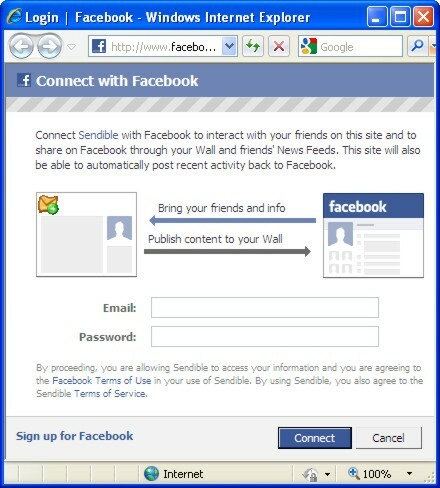 Once the setting is configured, Sendible will have direct connection with users’ Facebook account. Users can go to New Messages tab and click on to the “Status Updates” to schedule their own status. Sendible makes the updating process much easier and simpler for busy users who want to keep their status up to date and their friends being informed on their latest status. Besides Facebook, users also can schedule their updates to other social networking sites such as MySpace, Twitter, etc via the same service.